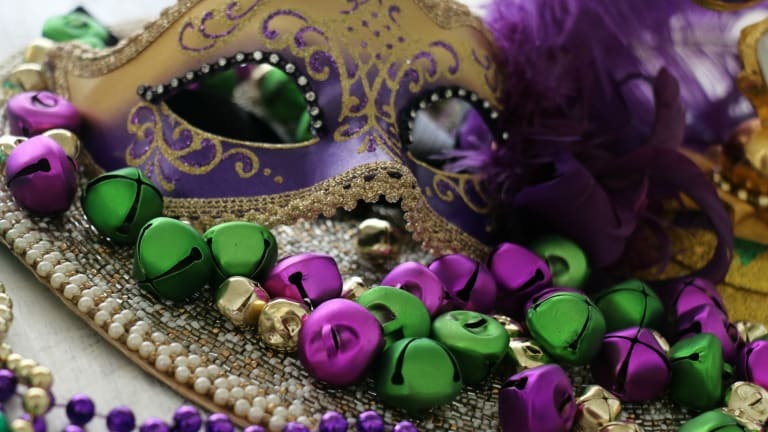 Did you know Mardi Gras is next week? In celebration of it, I thought it would be fun to set up a Mardi Gras table for two at my house. I&apos;ve only been to New Orleans once, but I&apos;ve always wanted to go back...And I&apos;ve always wanted to go back wth the hubs. It&apos;s such a magical, romantic town. 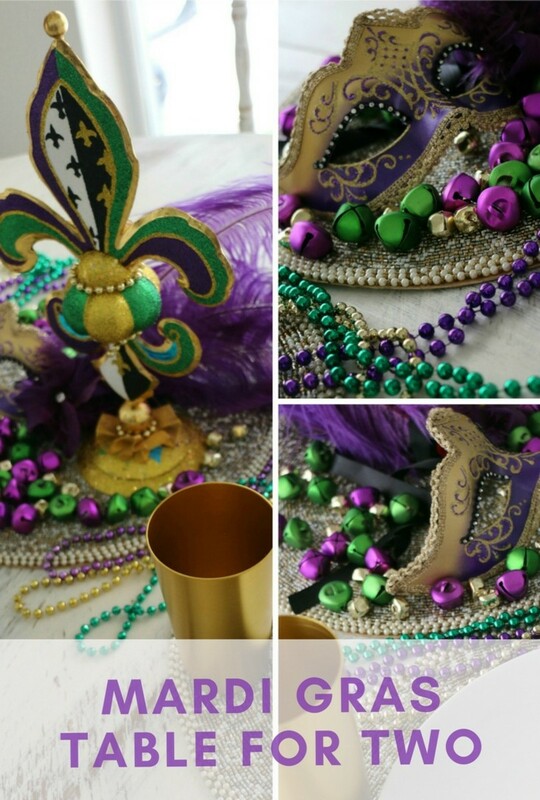 Consider it on our "just the two of us" travel bucket list, but since we have no such trip without the kids planned at the moment, I thought it would be fun to create a mini Mardi Gras celebration at home. 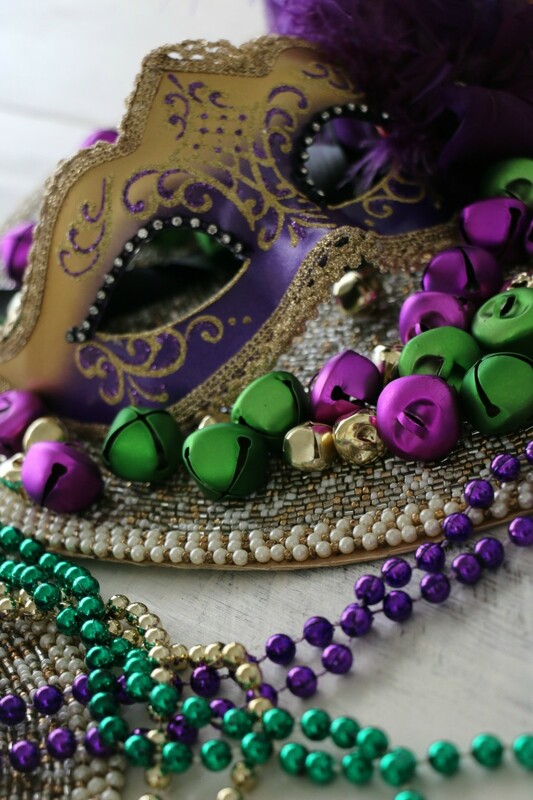 And since I thought you too might be in need of a little romance, I decided to share my Mardi Gras table for two ideas with you...Valentine&apos;s Day doesn&apos;t own all things romance. Just sayin&apos;. If you&apos;re short on time and want a one stop shop for all your Mardi Gras party needs, head to Pier 1 Imports. 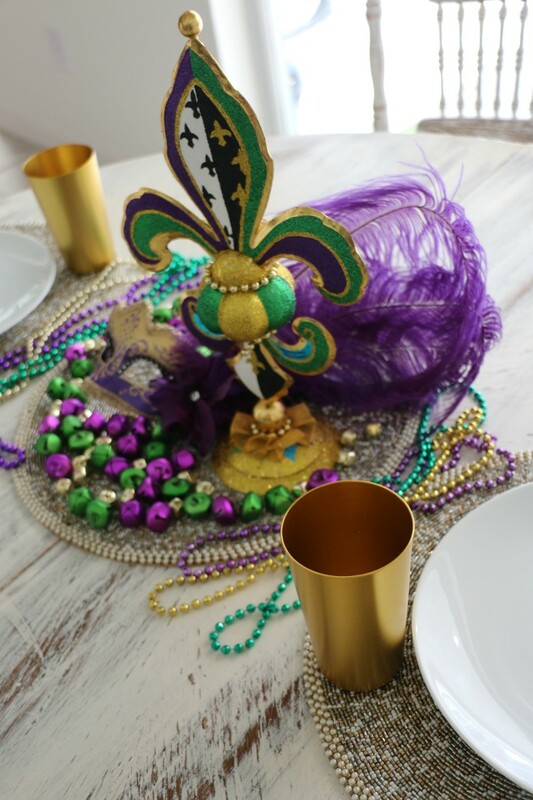 They have SO many festive Mardi Gras ready goodies and I had no trouble settling on a few to help me create my Mardi Gras tablescape. Hey, we&apos;re busy moms. Am I right? If we don&apos;t have to run all over time town to a million different stores to collect our decorating must haves, why should we?! 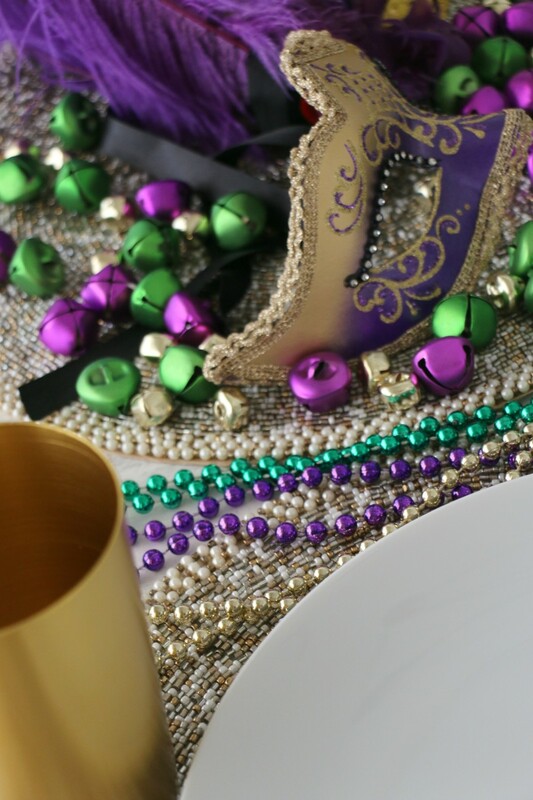 On that note, here&apos;s what you&apos;ll need to create your Mardi Gras table for two...I started with beaded placemats (3 total), one for each place setting and one for my centerpiece. 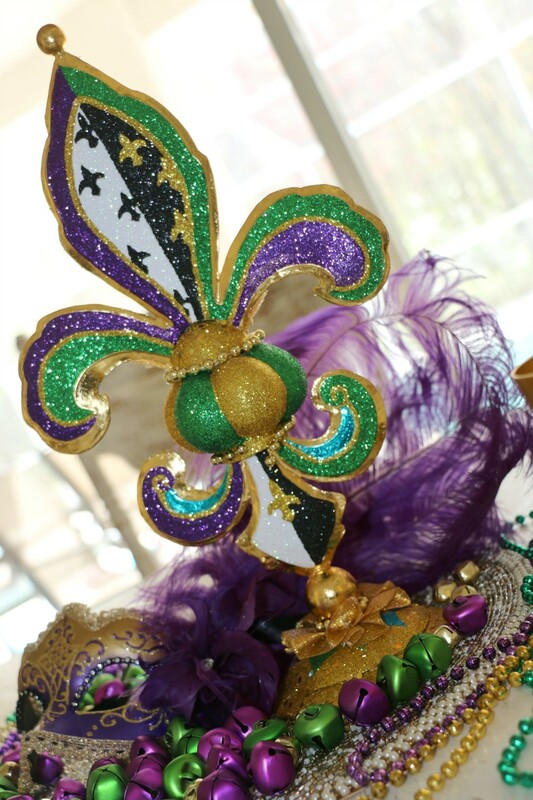 For said centerpiece, I used a masquerade mask, fleur de lis decor (this jester would be cute too, you just need something with a little height) and I sprinkled some festive bells vase filler around them, along with several strands of Mardi Gras beads. What&apos;s a Mardis Gras table without beads?! Plain white dishes and gold aluminum tumblers finished the look.